Tim Baarslag and Michael Kaisers of CWI's Intelligent & Autonomous Systems group have been awarded the Best Paper award at the IEEE International Conference on Communications, Control, and Computing Technologies for Smart Grids. Foundation 113 aims at a society in which nobody dies lonely or desperate because of suicide. To achieve this goal, Centrum Wiskunde & Informatica (CWI) and Foundation 113 Suicide Prevention have recently started a research collaboration. Centrum Wiskunde & Informatica has published its Strategic Plan 2019-2024. In it, CWI presents the research themes and topics the institute will focus on in the coming years and its ambition to further expand its impact. 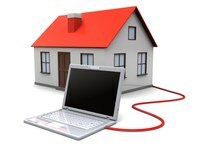 In our modern daily life, many activities require electricity, for example, the use of domestic appliances, manufacturing, communication, and transportation. It is therefore essential to maintain a reliable supply of electricity to ensure the operation of such activities. The paper "Rate Distortion Optimized Graph Partitioning for Omnidirectional Image Coding" authored by Mira Rizkallah (INRIA), Francesca De Simone (CWI), Thomas Maugey (INRIA), Christine Guillemot (INRIA), and Pascal Frossard (EPFL), has been awarded with the Best Student Paper Award at EUSIPCO 2018. Francesca de Simone of CWI's DIS group has been awarded with an INTERNATIONAL EXCHANGES 2018 GRANT bij the UK Royal Society together with Laura Toni (UCL). CWI’s Distributed and Interactive Systems group will be present at IBC 2018, from 14th to 18th of September at RAI Amsterdam, showcasing their research. The International Broadcasting Convention is the world's most influential media, entertainment and technology show. Ute Ebert, group leader of CWI’s Multiscale Dynamics group, appeared on national TV in the NTR science television programme Focus, where she explained which physical phenomena cause the beginning of lightning. Sophie Huiberts, a PhD student at CWI, was one of the three nominees for the Graduate School of Natural Sciences Thesis Award 2018 at Utrecht University. CWI researcher and ERCIM Fellow Yllka Velaj has won the 2018 Women@McKinsey Dissertation Award for her PhD thesis, which analyzes the problem of how to maximize the dissemination of information and opinions in social networks. The award comes with a job offer by McKinsey & Company, and a sponsorship to attend the Open Data Science Conference 2018. Monique Laurent from CWI opened the World Women in Mathematics event (WM)² in Rio de Janeiro with a keynote lecture. Recently, the book 'Machine Learning Techniques for Space Weather', edited by CWI researcher Enrico Camporeale and others, was published by Elsevier. 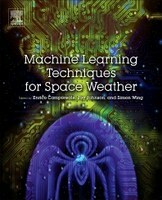 The book provides “a thorough and accessible presentation of machine learning techniques that can be employed by space weather professionals”. Incomplete combustion in engines and central heating systems can generate toxic exhaust gases. An electric discharge or plasma can preprocess the mixture of air and fuel, which could largely improve the combustion process. Researchers from CWI and TU/e were awarded a technology grant from NWO to understand and improve this. On 27 June, Jie Li of CWI’s Distributed and Interactive Systems (DIS) group has been awarded with the Best Paper Award at ACM TVX 2018, the ACM International Conference on Interactive Experiences for Television and Online Video. H2020 EU-funded project 2-IMMERSE, of which CWI’s Distributed and Interactive Systems (DIS) group is a member, tested their prototype end-to-end live production system for object-based broadcasting at the FA- cup final at Wembley. 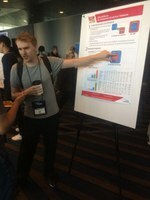 Mark Raasveldt, PhD student at CWI’s Database Architecture (DA) group, won the Student Research Competition at the SIGMOD 2018 conference for his work titled "MonetDBLite: An Embedded Analytical Database". 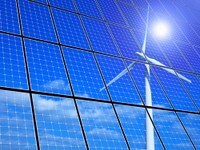 Researchers from Centrum Wiskunde & Informatica (CWI) discovered how large fluctuations in solar and wind energy, combined with the physical network dynamics of electricity, can cause failures in power grids. In the search for better environmentally friendly high-voltage switches, it is important to understand electrical breakdowns in various media. PhD student Ashutosh Agnihotri (CWI) developed efficient computational models to simulate these phenomena in different gas mixtures. 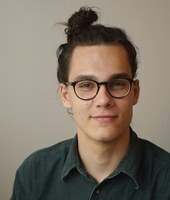 He defends his PhD thesis at Eindhoven University of Technology on 25 June. On 14 June Francesca De Simone of CWI’s DIS group has been awarded with the Best Paper Award at the the ACM Multimedia Systems Conference (MMSys 2018). Steven Pemberton (CWI) won a demo prize during the 2018 Markup UK conference in London. 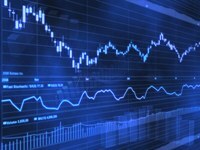 Pemberton, who is the co-designer of web technology and W3C standard XForms, showed that XForms can reduce the production time and costs of an application by a factor of ten. Recently, Kees Oosterlee from CWI's Scientific Computing group has been awarded a project from the H2020 European Industrial Doctorates (EID) Program. Former CWI PhD candidate and CEO of CWI spinoff SWAT.Engineering Davy Landman has been awarded the Institute for Programming research and Algorithmics (IPA) Dissertation Award 2018 for his thesis "Reverse engineering source code: Empirical studies of limitations and opportunities." 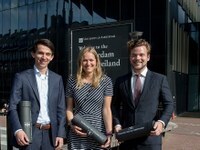 Carla Groenland, UvA alumnus and a trainee at CWI’s Networks & Optimization research group, was chosen as the runner-up in the finale for the UvA Master Thesis Award 2018. In total there were 92 competitors. You can listen to her podcast.